Add butter to a large skillet (one that has a lid) and melt over medium heat (by slightly closing the SuperSaver air regulator). Once butter is melted, add chicken and cook 1-2 minutes on each side just until lightly browned. Transfer chicken to a plate. Add rice and garlic to pan and stir over medium heat for 1-2 minutes until garlic is fragrant. Add chicken broth, lime juice and dhania. Place chicken on top of the rice. Cover and cook 25 minutes or until rice is fully cooked and liquid is absorbed. While chicken and rice are cooking, make the sauce by adding all the sauce ingredients to a food processor or blender and pulsing until smooth. Add more lime juice or a little more milk if needed till pourable. 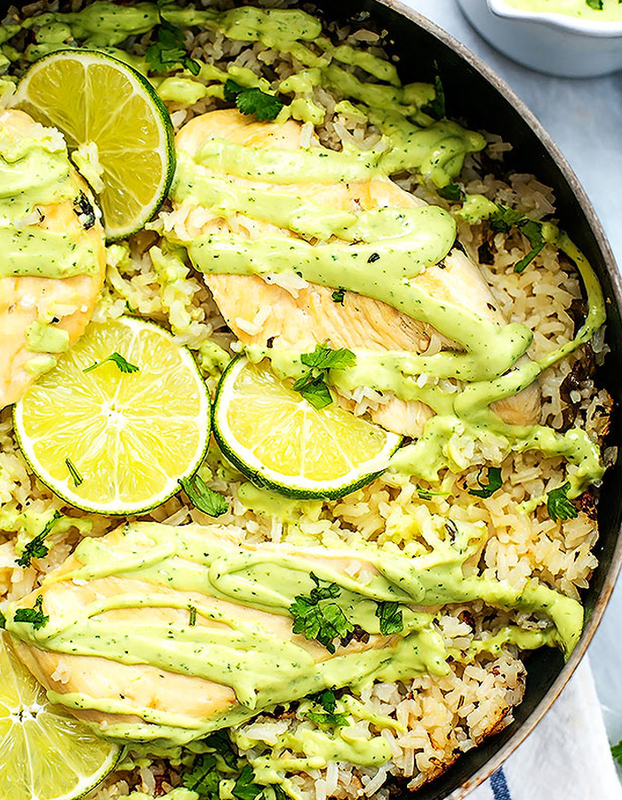 Drizzle sauce over chicken and rice. Garnish with lime slices and dhania if desired. Serve to your family and see them enjoy and want more!